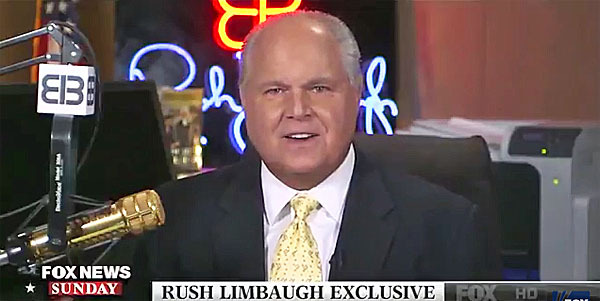 Rush Limbaugh is a force to be reckoned with in media. When he speaks, everyone listens. He contends that Obama’s “Shadow Government” is sabotaging President Trump and he is right. This is why Trump should have immediately cleaned house when he was elected. Anyone connected to the old administration at all should be fired. You see in the State Department how they have been stabbing Trump in the back… that is why the whole seventh floor was just canned. You see it in the intelligence agencies too – and many of those people need to be let go. It’s almost impossible for a new President to do what he needs to do if he has people from within his own administration trying to do him in. That simply cannot be tolerated. And whoever is behind the leaks needs to be found and prosecuted for it. This isn’t being a whistleblower… it’s strait up betrayal. Obama and his people were gunning for Flynn for weeks before Trump was inaugurated. They wanted him gone because he was against the Iran nuclear deal. Flynn didn’t help himself by stepping into their trap. But now that they’ve bagged him, they’ll be gunning for others around Trump. It must be stopped immediately. WALLACE: You also use a phrase which I have to say that I only heard for the first time in the last couple of weeks, “the deep state.” And that’s the notion that there’s an Obama shadow government embedded in the bureaucracy that is working against this new president. I think that some folks are going to think that’s right on and some folks will think it’s awfully conspiratorial. LIMBAUGH: Well, I would love to claim credit for that, but actually, I think a reporter by the name of Glenn Greenwald at “The Intercept” who has got a relationship with — what’s his name? Assange. I think he actually coined the term — and I think it works. LIMBAUGH: Absolutely. Of course, they are. They’re trying — look, if they can’t win at the ballot box — you know they are down 1,200 seats since 2010. They’ve become a marginal party electorally. All they’ve got is their embeds in the bureaucracy and the judiciary, and they are pulling out all the stops. There’s no question. Rush Limbaugh directly named Barack Obama and Hillary Clinton as being behind this. They are. So is Ben Rhodes, the former Deputy National Security Adviser for Barack Obama. They have people on the inside doing their bidding. Obama has 30,000 activists on the outside. This is war, make no mistake about it and President Trump needs to treat it as such. I’m no fan of Glenn Greenwald… I consider him to be a Marxist… but he’s right about the “deep state.” It is indeed the Obama shadow government. I consider it treasonous. The conversations between Michael Flynn and Russian officials were intercepted by intelligence agencies in the last weeks of the Obama administration. Because of the timing, Limbaugh concluded that Obama was aware of and involved in a concerted effort to damage the incoming Trump administration with innuendo-laden leaks to sympathetic news media outlets. Again, I believe that is exactly what happened and in fact, if they had solid evidence the Logan Act was violated, it would have already been released. I firmly believe that President Trump knows who the enemies are and will take steps to ferret them out. He better, because they are out for blood.